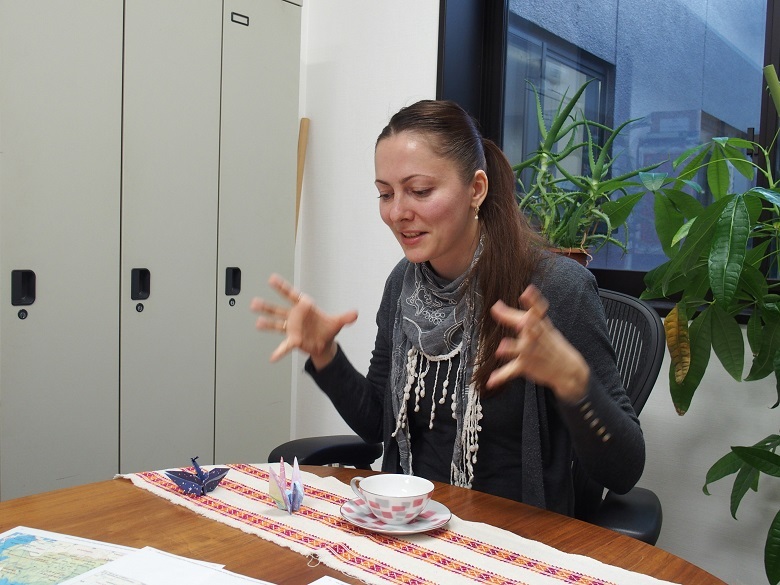 CEI had an honor of inviting Dr. Kseniia Gatskova as our visiting faculty for 3 months, from September until November, 2017. 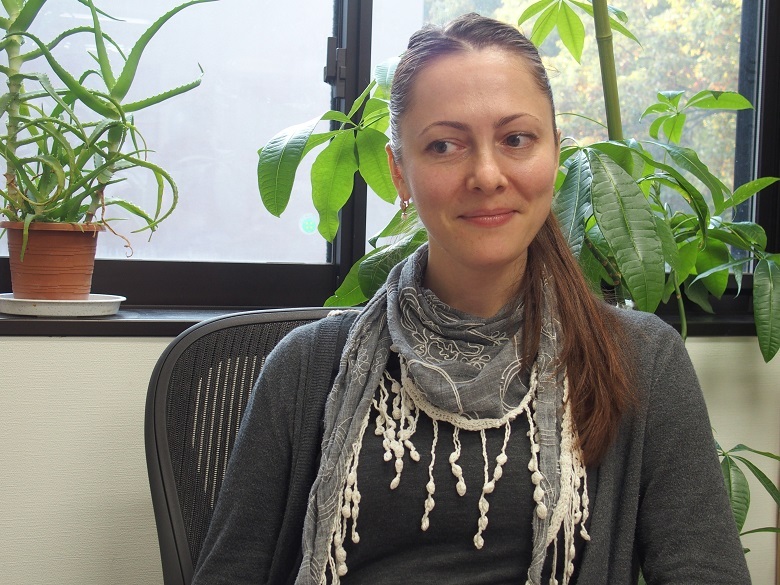 Dr. Gatskova has been working as a research fellow at the Department of Economics, Migration and Integration at the Institute for East and Southeast Europe since 2011. She studied sociology at the National Taras Shevchenko University of Kyiv, Ukraine and the University of Konstanz, Germany. Her research interests encompass post-Soviet transformation, social inequality, migration, and gender issues as well as methods of empirical social research. 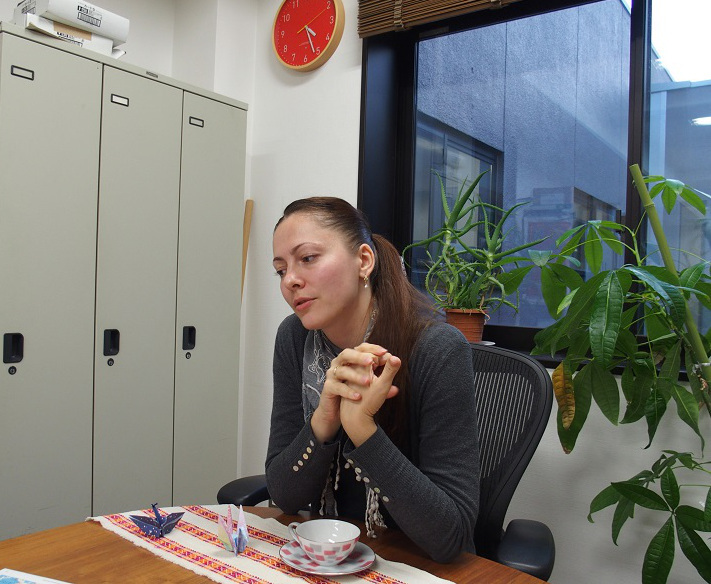 During her stay at CEI, Dr. Gatskova has been very actively interacting with many researchers at the institute, attending and presenting at many seminars and conferences. We are delighted to share this interview we had with her in November, 2017, about her life story! Q: Where were you born and how did you spend your childhood days? K: I was born in Kyiv, the capital of Ukraine. At that time it was a part of the Soviet Union, which was going through its last years before collapse. As far as I remember, these were very dynamic times. People were experiencing large transformations in all spheres of their life. I spent my childhood partly in Kyiv, and partly in a very small village with my grandparents in Russia. These are two very different stories. On the one hand, Kyiv – a large, dynamic city full of life and access to everything you can imagine in terms of cultural activities. In fact, what I really appreciate about Kyiv is that art, theatre, opera, and ballet are affordable and accessible for everyone. On the other hand, in a small Russian village I was surrounded by nature, fresh air, animals and my main leisure time activity was reading. I loved books and I took them from the local library. My brother and I sometimes even fought for books when we wanted to read the same one! He was a fast reader and often finished his books before I finished mine. Childhood is a formative period which influences a person for the rest of her life. Now, for example, I work in the office, but when I need a break I am happy to spend it in the nature, so I go feed the fish in the campus pond! I have very good memories of the two schools I attended. I started going to school just the same year as Ukraine became independent. So, I began to study when my country began its new life, so to say. It was the time when many people hoped to realize their long-standing dreams, new perspectives in life were opening. My school was kind of unusual at that time. The director of that school wanted to establish a new type of educational institution where he wanted his own children to study. He invested his whole life in creating this new type of school, where the focus was on the development of children’s personalities in very diverse ways. We had a lot of interesting subjects. Not only the regular ones like mathematics or English, but also different kinds of sports, theatre, art, music, etc. ; we had a very comprehensive program. There I started to learn Japanese language! It was rather unusual for Ukraine, but we had this subject. I liked it very much when our teacher was telling us stories about the culture of Japan. It was very interesting, absolutely fascinating! We learned about such celebrations as the day of girls, the day of boys, what is the philosophy behind the art of ikebana and many other things. I had two teachers of Japanese class. The first one had lived in Japan for a long time and was more focused on language itself. So, we learned katakana, hiragana, and kanji. With the second one we were singing Japanese songs. But when the second teacher told us that it requires at least 10 years to speak Japanese fluently, that severely discouraged all of us! Imagine, we were all about 10 years old and another 10 years meant the whole life for us! Well, that’s a difficult question! It all depends on how good you can speak a language. I always liked to learn languages. At school, apart from getting insights into Japanese language I learned English, German, and French. When you start learning a language, you begin with basic things like talking about food, weather etc. But these three languages I studied to the further level, so they are my main foreign languages. I continued to learn them at the university. When I graduated and went to Germany I had more opportunities to learn other languages as well. So, I took classes in Italian, Spanish, and Catalan. As a Ukrainian, I have two native languages: Ukrainian and Russian. In Ukraine, most of people are bilingual, although they have preferences. Q: When and how have you decided to take your major as your field? I took sociology as my major but this was not an easy decision. Nobody in Ukraine really knew what sociology was about 15 years ago. All new sociology students, who entered the National Taras Shevchenko University of Kyiv – the principle university of the country – had very vague idea of what they were going to study. When I was finishing school, I was undecided about what profession to choose. There were so many interesting fields like chemistry, political science, literature. But then I happened to know about sociology and I thought “Oh, what is that? Sounds interesting. Why not trying?” Fortunately, in the first year of my studies I realized that sociology was exactly what I was looking for! As a sociologist you have a freedom to do research in any possible field where your interests may lead you. You can work on topics related to medical science, politics, economics, etc. Later, I decided to pursue an academic career and I went to Germany, where I got my Ph.D. in sociology. First, I was an exchange student at the University of Konstanz for one year. Konstanz is a small city by the beautiful lake, right on the border with Switzerland. In the University of Konstanz, there is a department of social science and history, and the chair for empirical social research. The head of this chair is Professor Thomas Hinz, who together with his team was working on a very interesting project on attitudes towards fair incomes in Germany. I was particularly interested in the survey method they used. When I became a student assistant to this project and learned more about the factorial survey method I decided to connect my Ph.D. topic to it. With support of the German project team and Ukrainian Institute of Sociology I conducted a survey experiment in Ukraine, which generated the empirical data for my dissertation. Q: So, was it in your Ph.D. days, when you decided to become a researcher? It happened a bit earlier, when I lived in Kyiv. During my last year as a university student I worked at the Institute of Sociology at the National Academy of Science of Ukraine. There I realized that it is the world of research where I belong to. We had an amazing team of scientists headed by Professor Evgenii Golovakha. This team was working on survey methodology and conducting a yearly monitoring called “Ukrainian Society”, a large-scale survey representative of the Ukrainian population with many questions on all possible things from welfare of households to political opinions and reading habits. Working with very good people is a great source of inspiration. I felt strongly motivated and just wanted to go on and try out more. Q: In your basement of your research motivation, do you have such passion as to help your new country to become more developed? Of course! I was always connecting my research with real social problems and politically relevant issues. For me it is not only interesting to find answers to some unresolved general questions but more than that to analyze empirical evidence in order to envisage better solutions for the real world problems. I was always interested in problems that are not solved yet and where there is not enough of knowledge. I wish to contribute to knowledge generation and help somehow to solve these problems. Q: So you’ve been traveling mainly in Europe? Have you visited some other areas as well? Areas not in Europe? Apart from Japan, I have been to the US, Kazakhstan, Georgia, the UAE. All of them seem to be completely different worlds. My first independent travel abroad was when I was eighteen. I went to Sweden to participate in a two-week summer school on the European welfare system. Next year, I spent one month in the US. My third big journey was to Germany. I thought that I go there for a month… now it is ten years since I live in this country. A modern researcher is an international person. We attend conferences and participate in visiting research programs all over the world. Every travel to a new country is very enriching. Q: Which one was the most impressive one? Q: How do you get to know Hitotsubashi? Professor Kumo visited our institute in Germany, and he gave a lecture about demographic development in Russia. This was our first meeting. We talked about Russia and other topics. 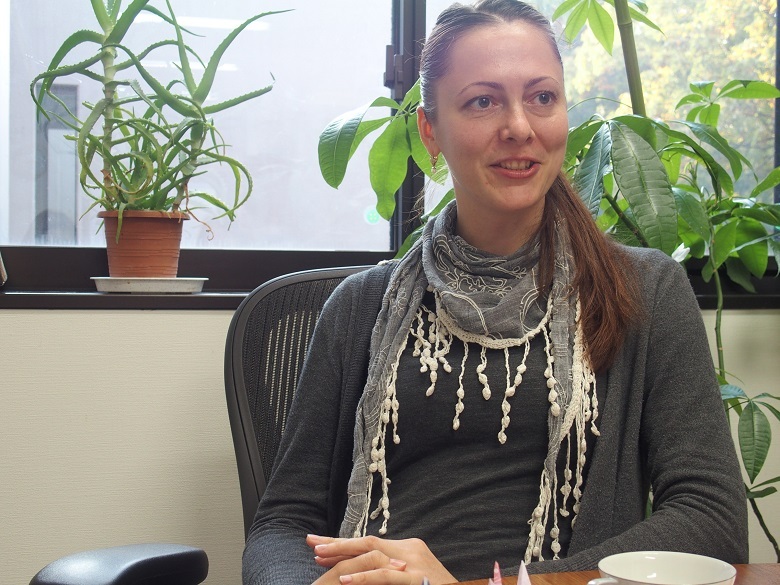 And then, my colleague Ekaterina Skoglund visited Hitotsubashi University. She shared her experiences and impressions with me, and it was very positive, which made me think, I might want to visit this great place as well! Q: How do you feel about living in Kunitachi? It’s a wonderful place, I should say! I was able to spend three very happy months of my life here. Before I arrived, I thought that three months would be a long time to stay. Not at all! The working atmosphere at the Hitotsubashi University is outstanding. You can achieve a very good balance of social events and individual time for your research here. It is very special, that this campus is situated in the center of the park. If you need a break, you can go outside for a short walk into the “forest” and get some inspiration to work further. It is a very beautiful and compact area and you can reach all important places by bicycle, which is very convenient. Q: Is there some recommendations to a “first timer to Japan” visiting researchers? First of all, I would say, “Don’t be afraid.” Many people don’t know that Japan has extremely rich cuisine and are afraid to try new things. I can recommend Japanese tempura, soba, udon, okonomiyaki and for the most courageous – natto! Those who don’t speak Japanese may be afraid that they will be lost in the city. But, trust me, people are so helpful, so friendly here. I have never seen people like that in any other country. When you have any problem, others would sincerely take this problem as if it is their own. If you are looking for a way, they will lead you to the place where you need to be, if you don’t understand something they will make their best to explain it to you. The climate is very mild in Japan. Such a beautiful colorful autumn is a dream of every artist! September and October were almost like summer: very mild, warm, and sunny. Q: Is there any differences or similarities between your institute in Germany and our institute here? In Germany, we have a seminar on a weekly basis, so once per week at least we meet all together in order to listen to a presentation of some researcher. It should not necessarily be someone from abroad. It can be somebody from our institute or a researcher from the neighboring area. In this way we are constantly updated on the topics on which our colleagues are working. Sometimes people present not completed papers but first results of their studies. In this case, it is a good opportunity to discuss important points with others and to get valuable feedback and suggestions to improve a research paper. In our institute, we have two departments – history and economics. The economics department is not very large. I would prefer to have more people working in the social science. What I like at the IER is that you have more social scientists working on a broad scope of topics. Q: What are some of your long-term goals of your researching life? I hope to continue my research and to contribute to making this world a better place to live. Now I am dealing with such topics as migration, development, labor market, gender issues, and family economics. In general, I would like to continue working on these topics. Maybe in the future I will be more experienced and I will be able to write a useful book with practical recommendations for developing countries. Q: You’ve been also supporting refugees to Germany, once I heard, right? Those were my voluntary activities. 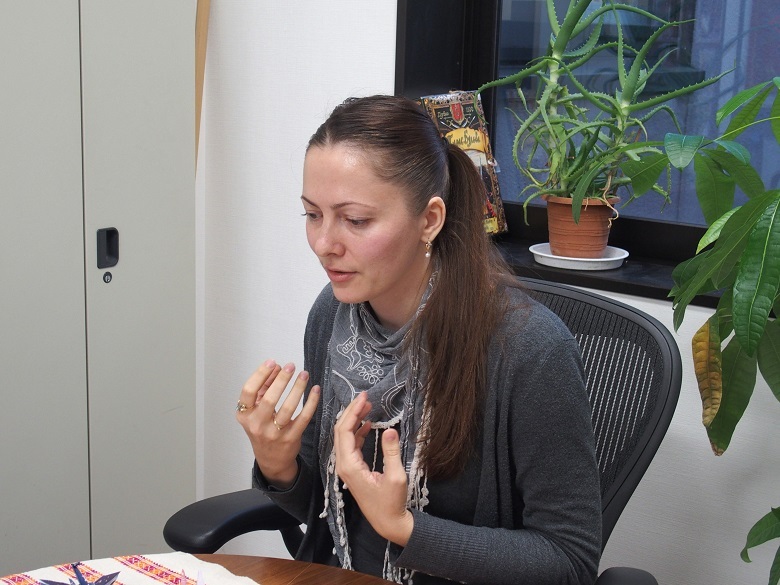 Yes, I decided to help the newcomers with their integration and I went to teach German language to the beginners. There is a non-profit organization in our city which organizes many programs to make the integration of refugees easier. One of their programs is a German course and I was one of the teachers there. We worked with people who had no previous knowledge of German. We taught them most important basic phrases and words for their daily life through reading and repeating. For example, they learned how to greet each other, how to pay for food, how to go to the doctor etc. Usually, there were 4 to 5 teachers in the classroom and each of them had 4-5 students. Q: So you like teaching as well, maybe? Yes, I like teaching. I don’t have to teach in my current position as a researcher in Germany. But whenever I have a chance, I take the opportunity to teach. Mostly I give intensive courses on particular topics or teach at summer and winter schools. I used to teach at the department of social science at the Technical University of Regensburg. They invited me to offer a course on the transformation in Ukraine and on quantitative methods in social sciences. These were my first courses taught in German. Q: Please share your recommendations to young Japanese researchers in the same field. I think young Japanese researchers learn a lot and this means that they are motivated to do good job. But how to keep this motivation? What really helps is a habit to compare yourself to yourself in the past instead of comparing your achievements with achievements of others. In this way you can see your individual progress and this motivates you to keep working on things that you believe are important. All of us face challenges time to time. It is essential not to be discouraged by challenges. Researchers (like artists) have a great advantage over representatives of other professions – we can continue working on something until we are proud of the result. If you sometimes feel overstressed from the big portion of self-organized work you have to deal with, for example writing a Ph.D. thesis, my suggestion would be to use a very simple technique. Dissect a big project into very small tasks, very small steps that allow you to approach this big project. The smaller the steps – the better. For example, when I am working on my paper, I try not to think about how many things I will have to do in order to complete it. I just set such tasks as, “I need to write one paragraph of this paper about data I use” or “ I need to summarize the findings of these three articles in ten lines.” When you face small, very concrete tasks they are not so difficult to deal with. Needless to say, it is very important to exchange ideas with those who are interested in your research topic, especially more experienced researchers. We learn from each other through these interactions. You see how others work and get your scientific inspiration. If there are any opportunities, I would suggest young Japanese scholars to attend international conferences and presentations of visiting researchers from overseas. It is also important to take breaks when you are tired and switch to activities that fill you with energy. It can be a little walk around in your neighborhood, drawing a picture, listening to some beautiful music. For example, I like sometimes to write papers, while listening to Chopin. Research is a creative work. Therefore researchers have their ups and downs. When you are in your “up” mood, take your time for your research. But when you feel you are not productive enough, don’t worry, just read something what might give you some inspiration or take a break and switch to another activity, which makes you happy. 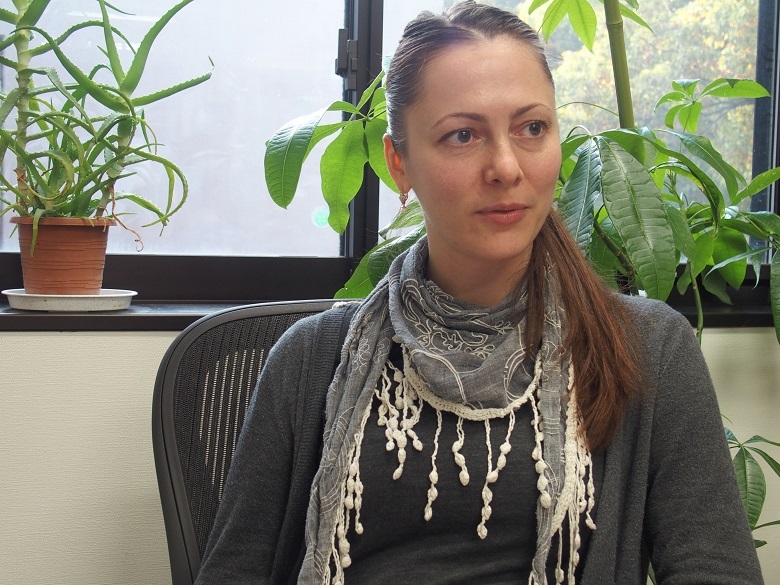 We sincerely would like to thank Dr. Kseniia Gatskova for sharing her time with us for this interview. All the episodes shared were full of inspirations about how to make positive change in your life to live at the most. In today’s world of diversity, her compassion and care to the world around us somehow gave us a lot of encouragement that we still can live in peace and harmony with great hopes in making the world even better. We have learned a lot from her global perspectives and rich experiences. 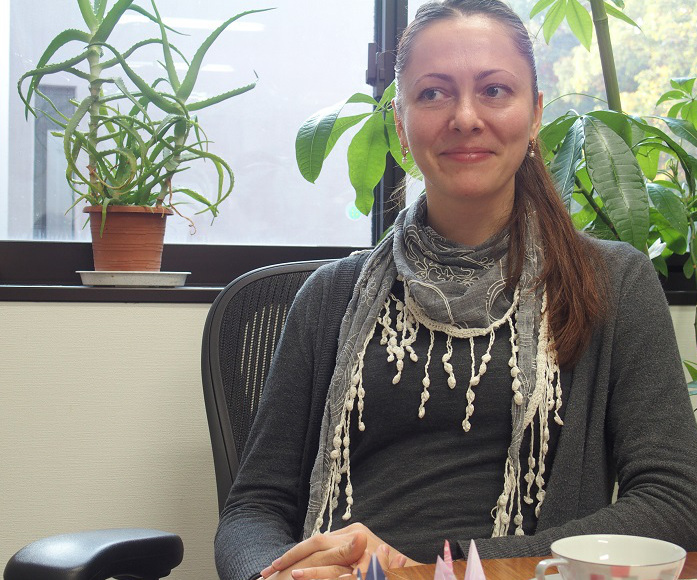 We wish Dr. Gatskova and her family continuing happiness, wishing all the best to their future endeavors! Interviewed on Friday, November 17, 2017, by CEI staff, Akiko Ito, Eriko Yoshida and Yoshiko Kizuka.